One by one, Evgeniy Moiseyev carefully pinned his military medals to his chest until they almost covered the front of his dark brown suit. It was an unusually hot day for the time of year, so the suit was something of a burden. But this was an important day for him. Moiseyev is the chair of the local prisoner of war association in Rostov-on-Don, and he had come to a military base in this southern port city that was previously a Nazi-run POW camp. It was the international day marking the liberation of POWs from German-run concentration camps, and he was preparing to pay tribute to the thousands of Soviet prisoners who died here. Moiseyev was himself a prisoner at the base, when he was just 15 years old, witnessing a catalogue of horrors, including mass starvation and even medical experiments on some of the Red Army soldiers held there. Yet, as he made to go inside, the guards blocked his way. Moiseyev had come up hard against the Russian government’s policy of trying to block out moments in the country’s history that it regards as embarrassing or shameful. The story of the nearly three million Russian and other Soviet POWs held in German camps during the war is one of them. He had come up hard against the Russian government’s policy of trying to block out moments in the country’s history that it regards as embarrassing or shameful. Even though many were captured during celebrated moments like the Battle for Stalingrad, they are seen as a stain on the otherwise glorious narrative of victory. Stalin himself denounced them as “traitors,” sending hundreds of thousands to the Gulag prison camps. Today, the base is a major training center for the Russian air force, where at least 10,000 personnel work. But there is nothing to indicate that it was once a camp for Soviet POWs, and Moiseyev has been fighting to keep their memory alive. It’s been a long and dispiriting battle. As he argued with the guards, Moiseyev, who is now 91 years old, grew increasingly agitated. And then he fainted. There used to be a small memorial inside the base complex to the 9,000 soldiers who died there — even though the state didn’t want to acknowledge the POWs. And Moiseyev and his “Society of Former Russian Prisoners in Rostov” regularly came to pay their respects. During World War II, the Germans reportedly told local people that the complex was a hospital, when in reality it was a concentration camp for thousands of Red Army soldiers and anyone else the Nazis captured. Doctors drew blood from prisoners to send to wounded German troops elsewhere. They kept wounded prisoners in rotting bandages for months. 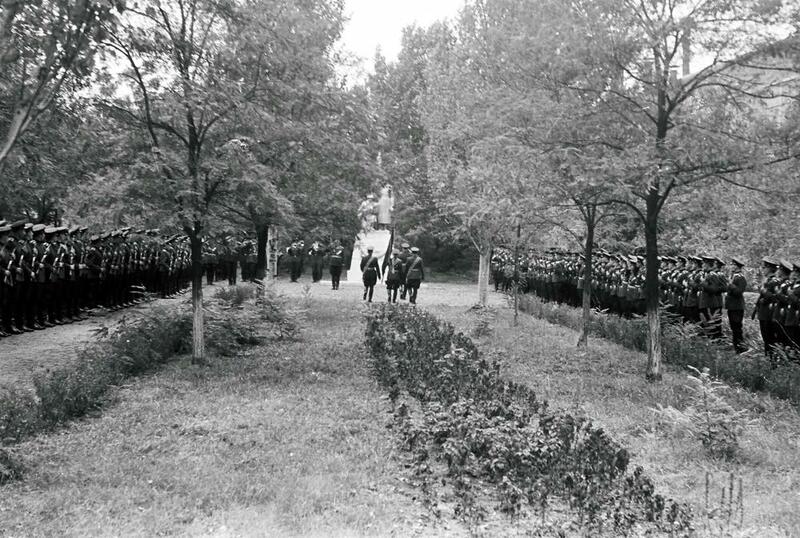 The camp complex was lined with trenches for mass graves. 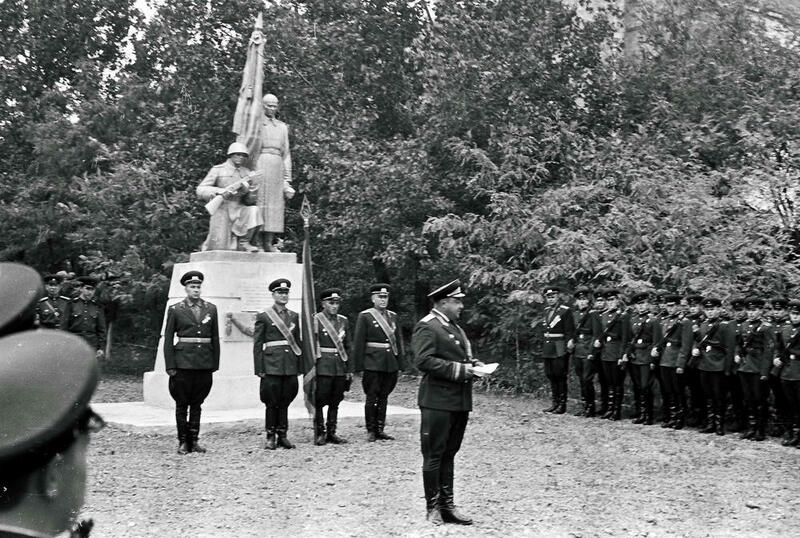 However, in the late 1970s, the base expanded, and the memorial was demolished. City officials promised that the remains of any prisoners that were found would be reburied in a nearby cemetery. But years later, there was still no sign of any grave being set up to mark them. Whether by design or neglect, the authorities had in effect managed to hide the memory of the POWs. The truth, though, if anything, was worse — and it was the authorities who helped reveal it. When they announced a new round of construction at the base in 2011 — to turn it into a pilot training school — they admitted that the remains of prisoners who had been found in the 1970s had actually been dumped in a mass, unmarked grave inside the grounds of one of the city’s prisons. Moiseyev and other local activists were furious. “It turns out that the remains of the prisoners of war were just thrown out along with some dirt to where criminals serve out their sentences,” said retired Lieutenant Colonel Nikolai Shevkunov, a member of a local patriotic organization. But they still didn’t believe what they had been told. 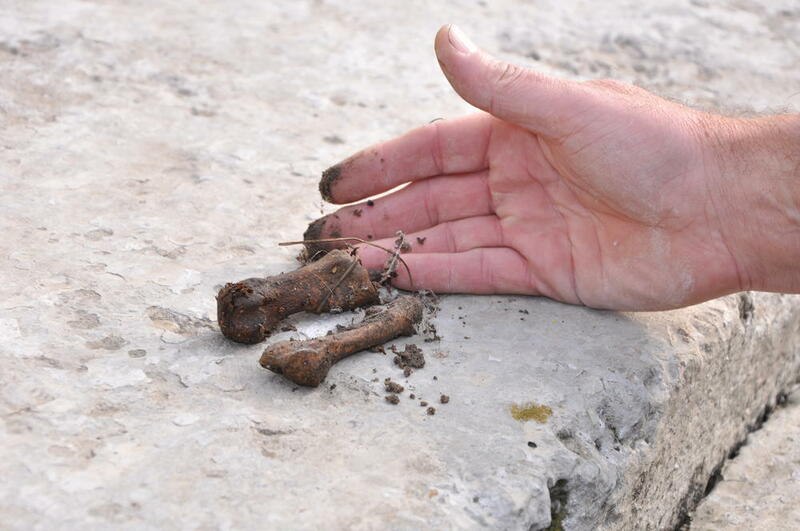 For years, Shevkunov and other activists have been finding bone fragments in parts of the base that are no longer in use. Shevkunov sent some of the remains off to a laboratory, which confirmed they dated from the years of World War II. Neither the base nor the city administration have yet acknowledged his findings. “We do not have war graves,” said unit commander Alexander Pankin. And from talking to officers training there, it seems clear that most have no idea that this was once a Nazi-run POW camp. Nationwide, it’s a similar story. While monuments to victory over Hitler’s Germany are eagerly funded by the state, efforts to memorialize other less-glamorous chapters of the war’s history, including the treatment of POWs struggle to receive any official support. When Moiseyev collapsed outside the base last year, the police were called. He had regained consciousness by the time they arrived and they asked him for identification. When the policemen arrived, they reported to their superiors that Moiseyev was now conscious but stood back and avoided approaching the veteran and his school-age supporters. 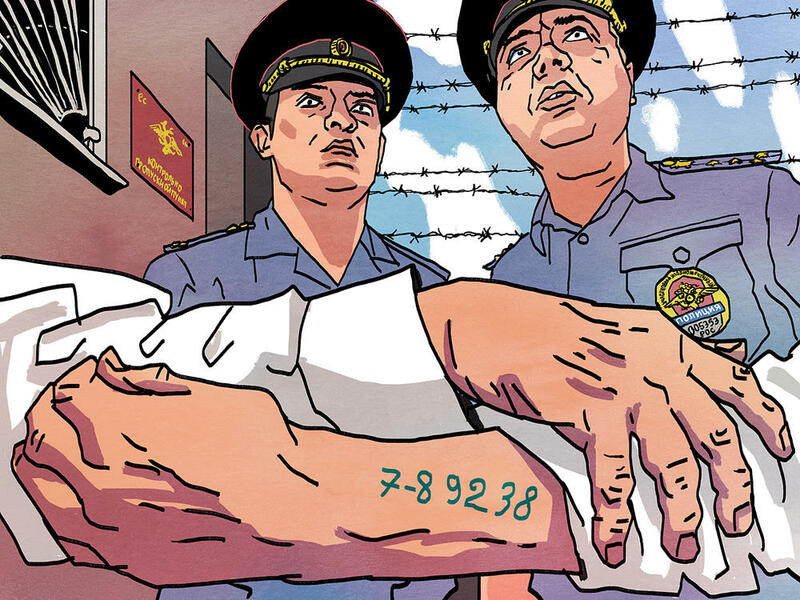 “We were tortured in German camps,” Moiseyev continued, “And now they are torturing our memory.” But that incident at the camp gates was such a shock that this past April he couldn’t face going there again on the day of remembrance. Moiseyev continues speaking out for greater recognition for the camp and its former prisoners but local journalists who report on his activity have been threatened with legal action by Gerbach’s Committee of War Veterans. Former Lieutenant Colonel Shevkunov puts it another way. “It’s easier for our country’s patriotic organizations to deal with fireworks and songs,” than handle the legacy and stories of Soviet POWs. And yet the stories and memories of base have not vanished entirely. One young officer at the base, who spoke on the condition of anonymity, said that while doing repair work at the base his team had found fragments of blood-stained bandages. When he told his superiors, he was reprimanded. Images by Polina Efimova, Alexander Olenev, and the Archive of the Academy’s Veteran Committee.